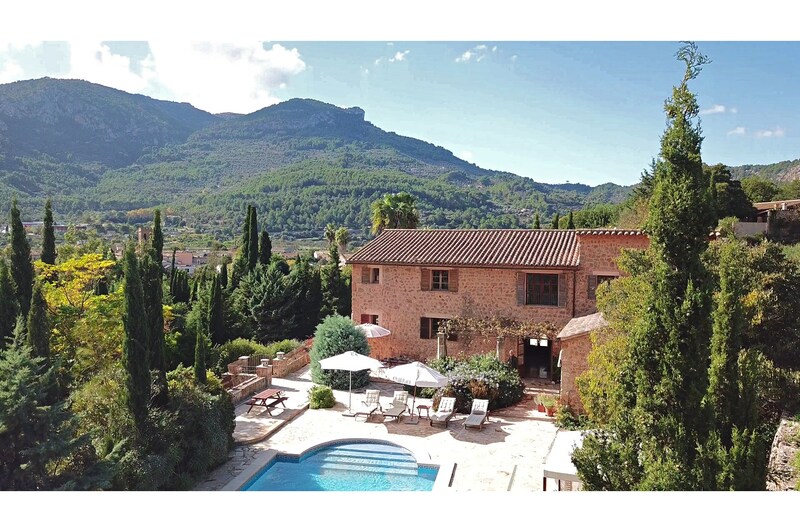 Luxury 4 Bedroom, 4 Bathroom Villa with Mountain View and a Private Swimming Pool , Air Conditioning, WiFi, Satellite TV, near Golf, Sleeps a maximum of 8 people. 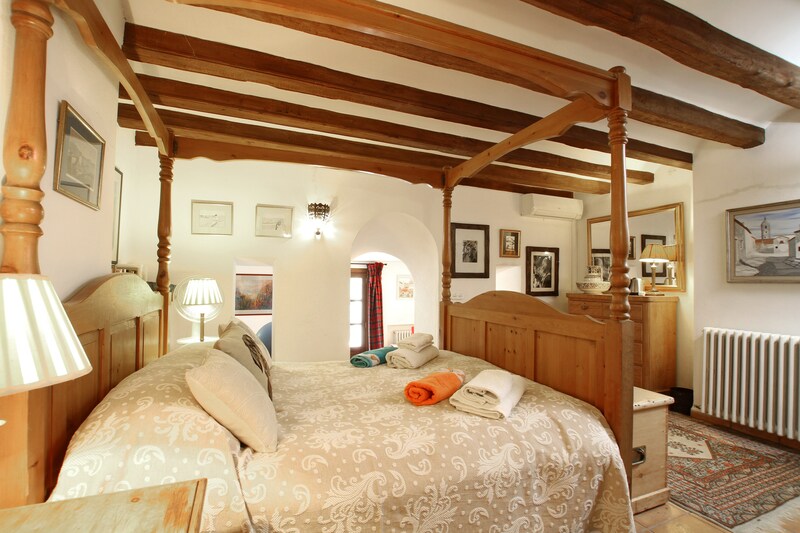 Tucked away at the end of a private lane, this charming 400-year-old historic property set on three levels - previously a famed old vicarage - provides complete security, privacy & tranquillity. 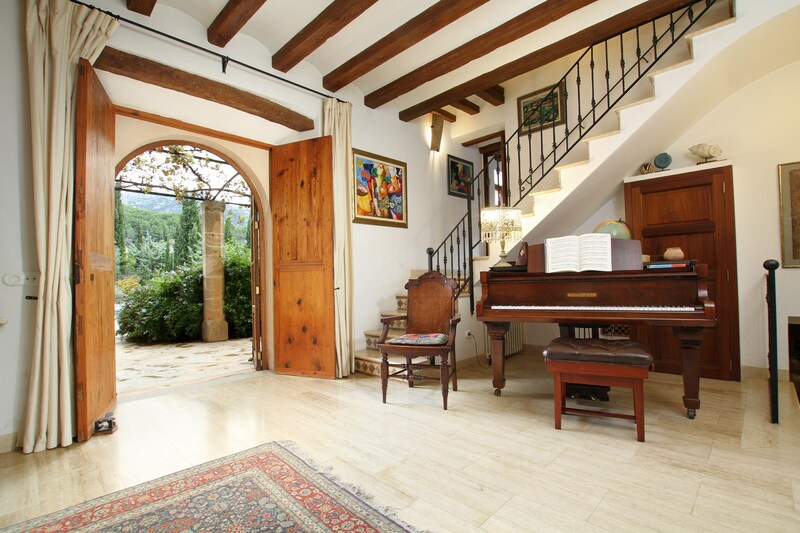 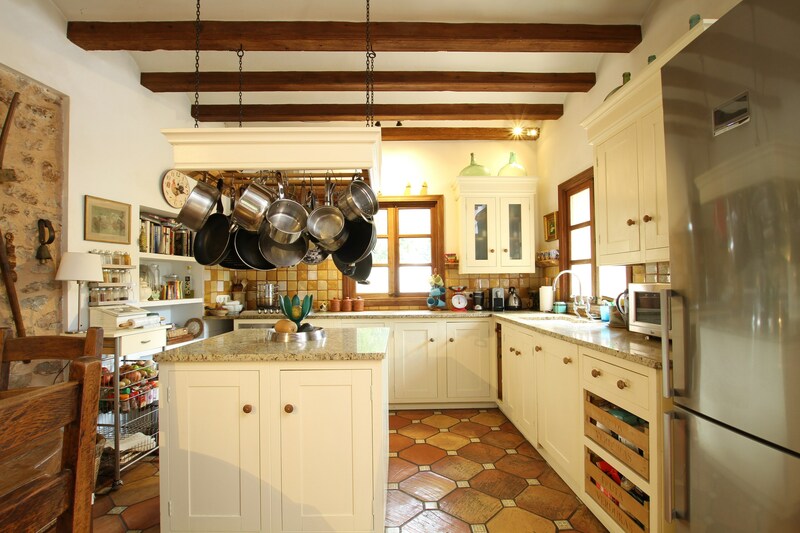 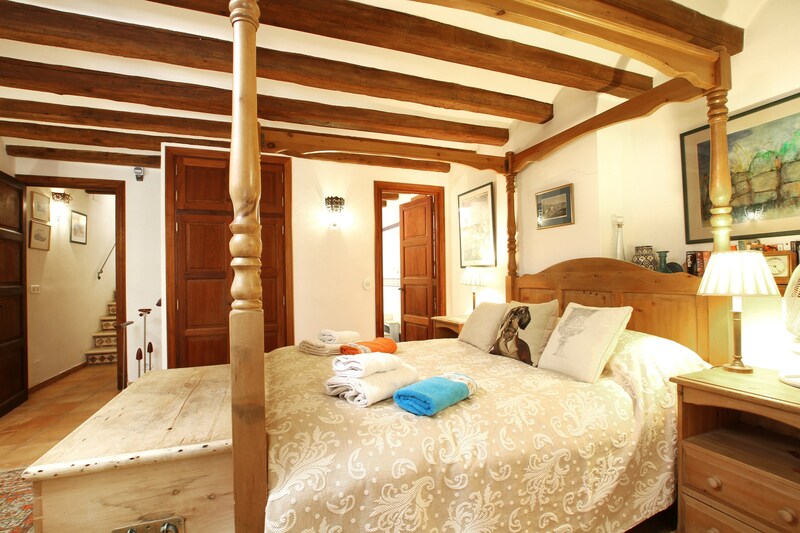 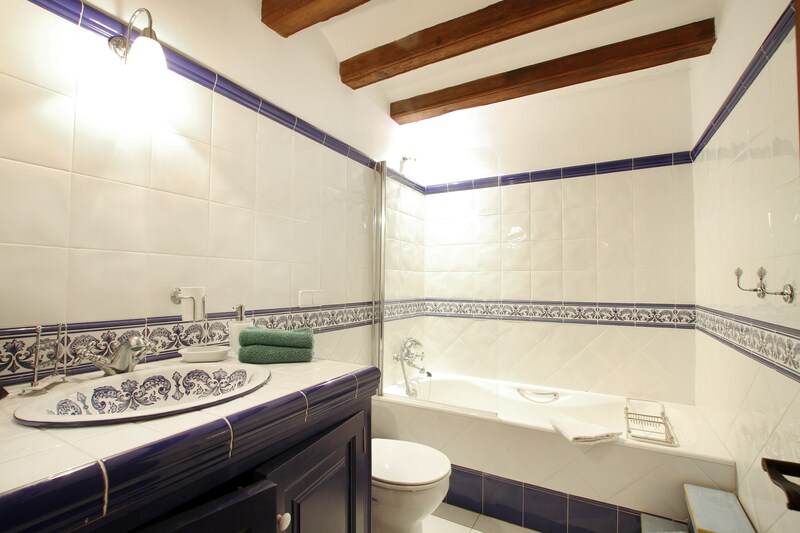 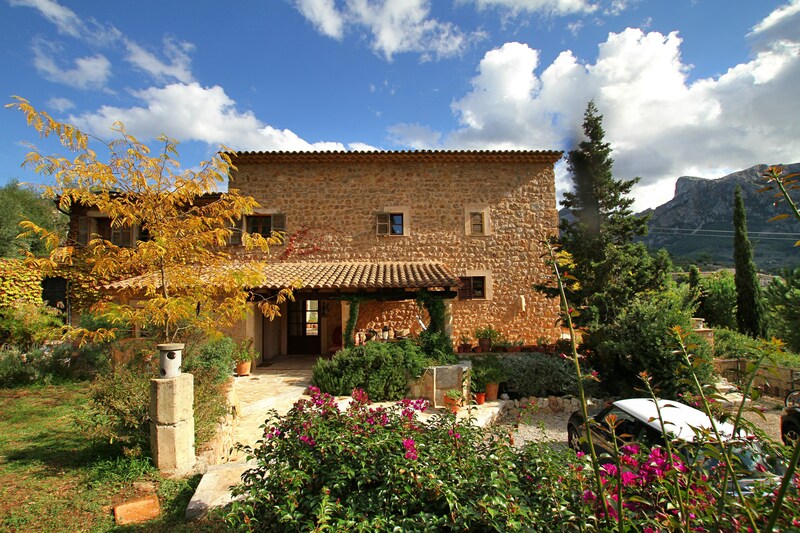 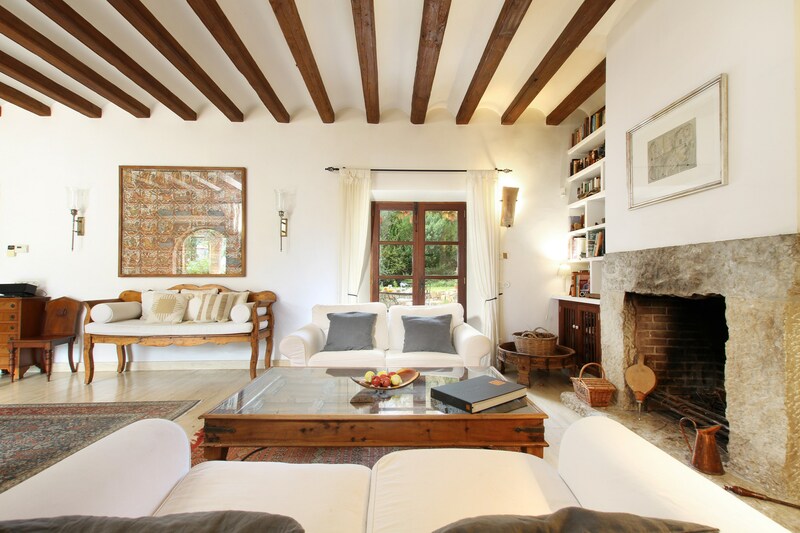 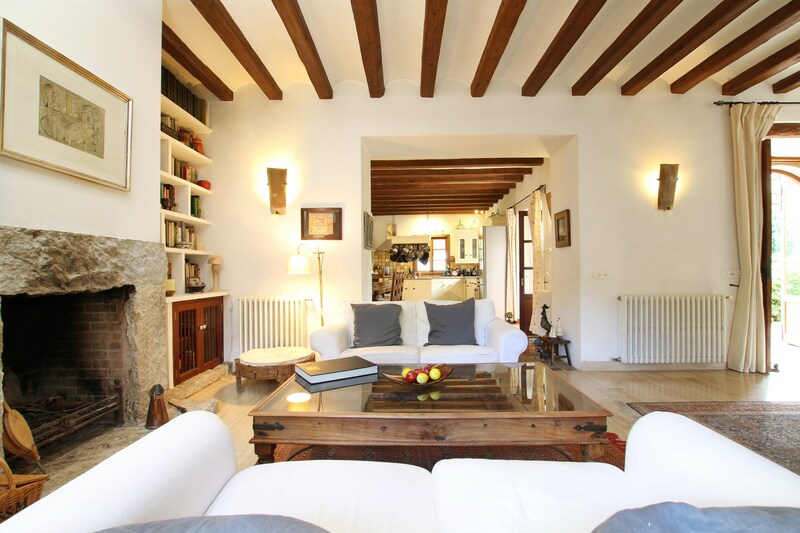 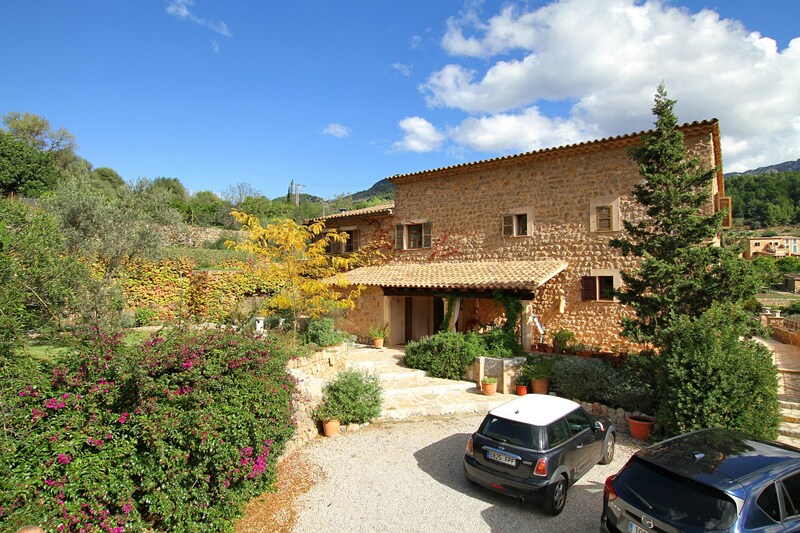 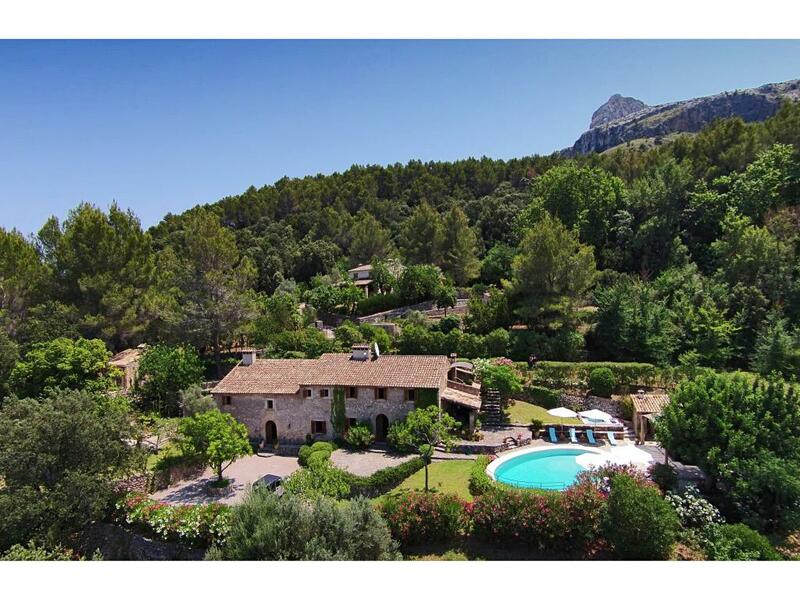 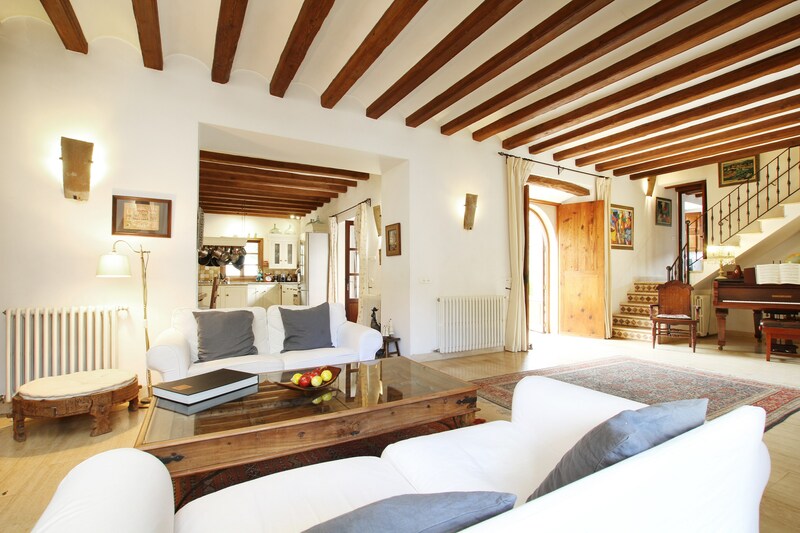 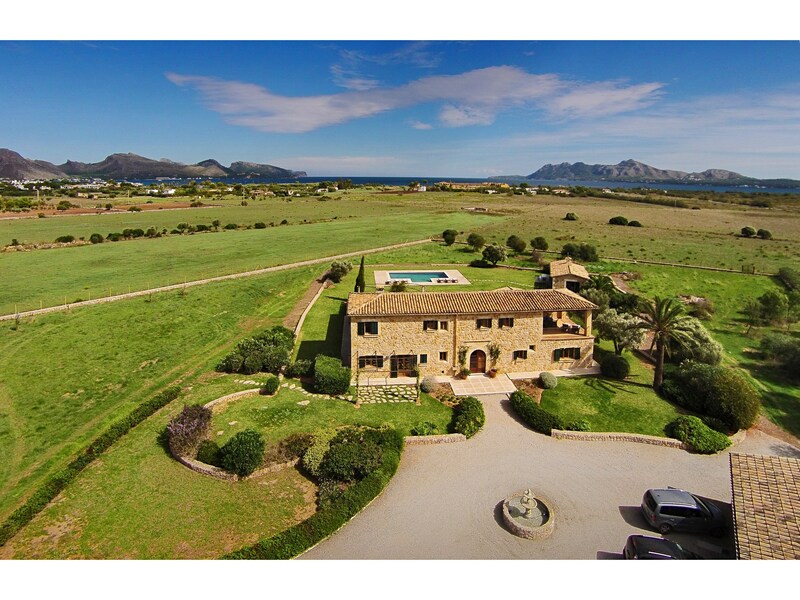 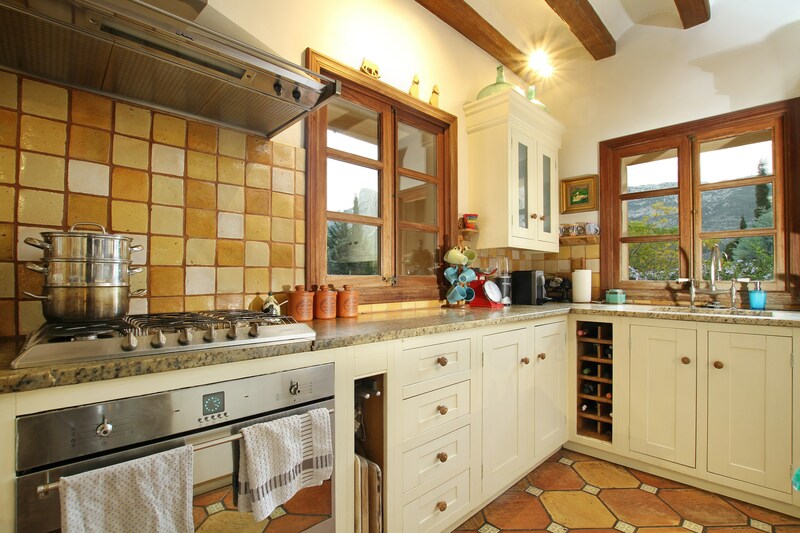 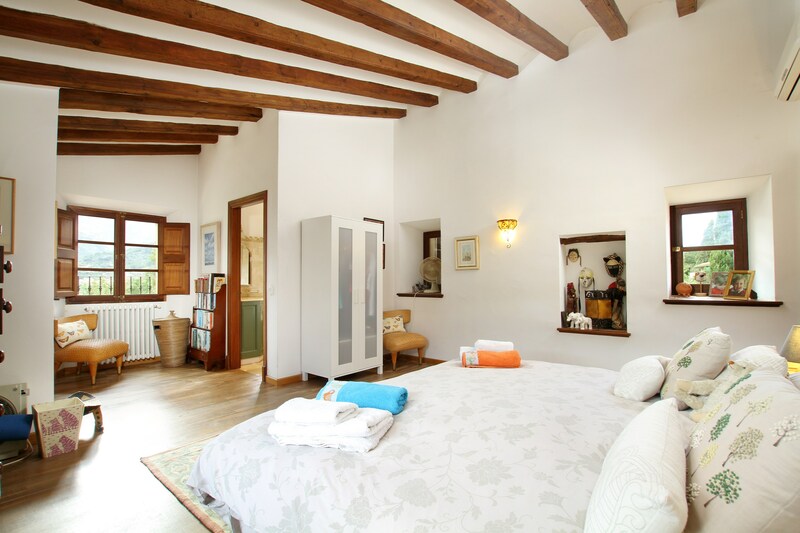 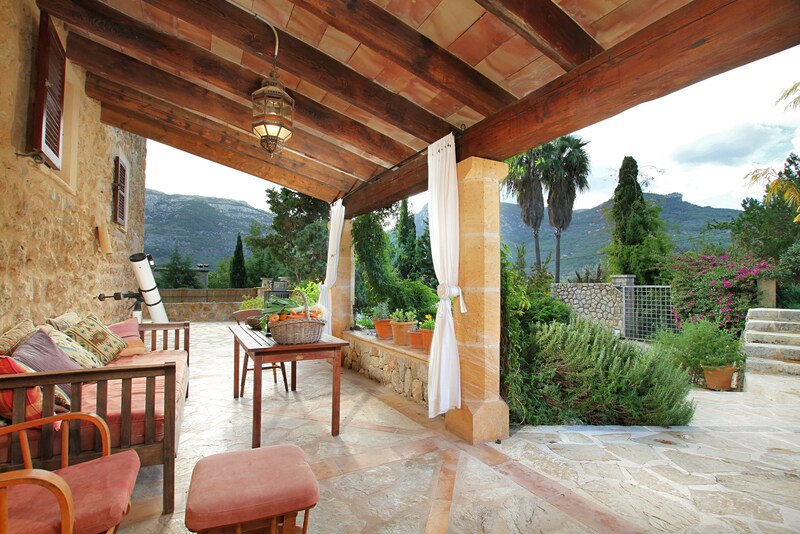 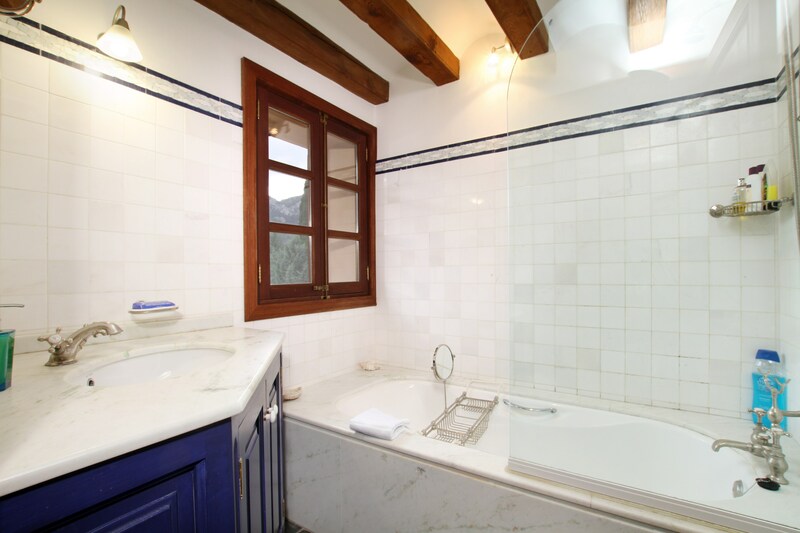 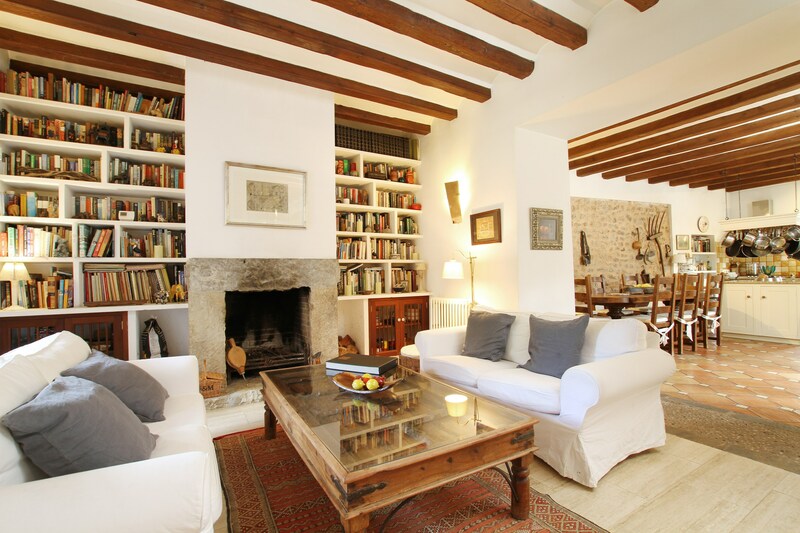 It enjoys breathtaking views of the Tramuntana mountains and Soller Valley. 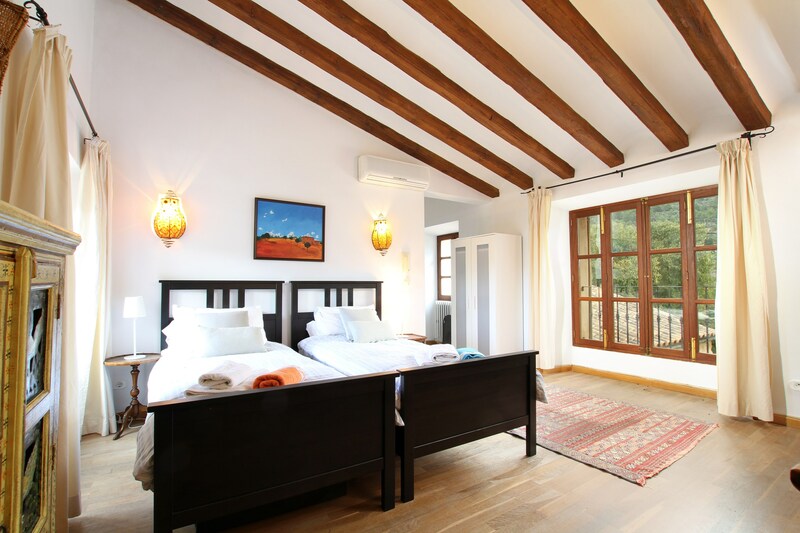 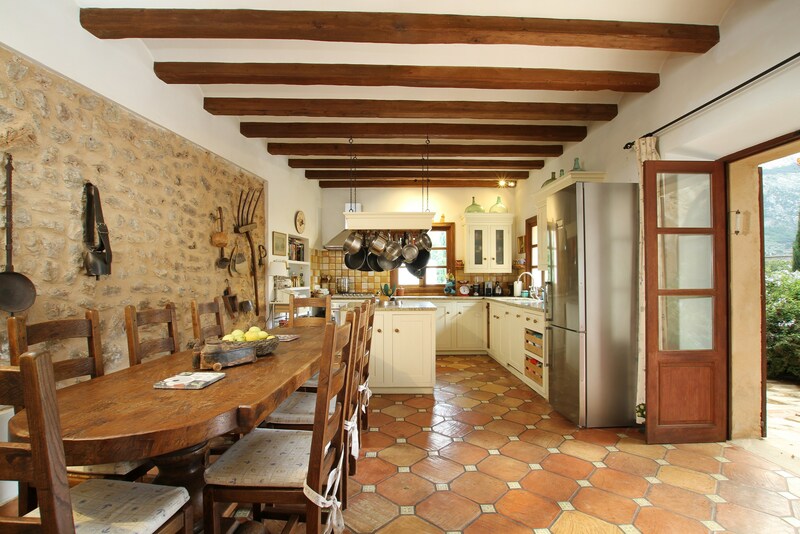 Lovingly restored to an exceptional standard, it offers marble, French oak & hand-made terracotta flooring & ancient pine beams throughout. 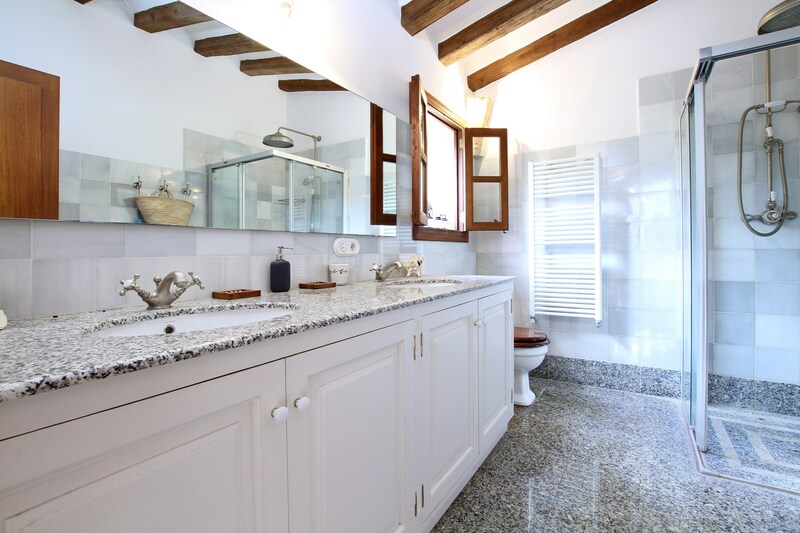 The property has electric gates fronting its beautiful entrance which includes parking, a lawn & small pond frequented by fish and frogs in summer. 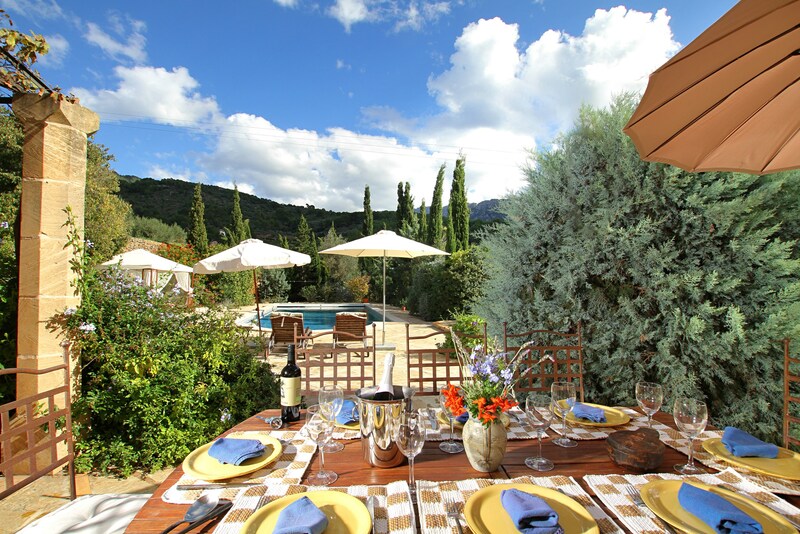 Surrounded by spacious, traditional stone terraces - both sunny and shaded - the rear garden has a large swimming pool (12x6 metres, with electrically operated safety cover), al fresco dining areas and below, accessed by a flight of stone steps, an acre of wooded garden and orchard bursting with orange, lemon, olive and fruit trees. 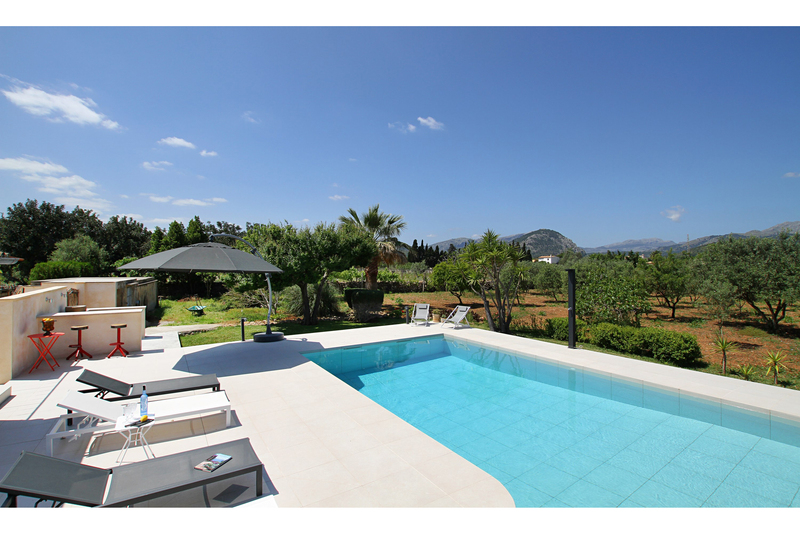 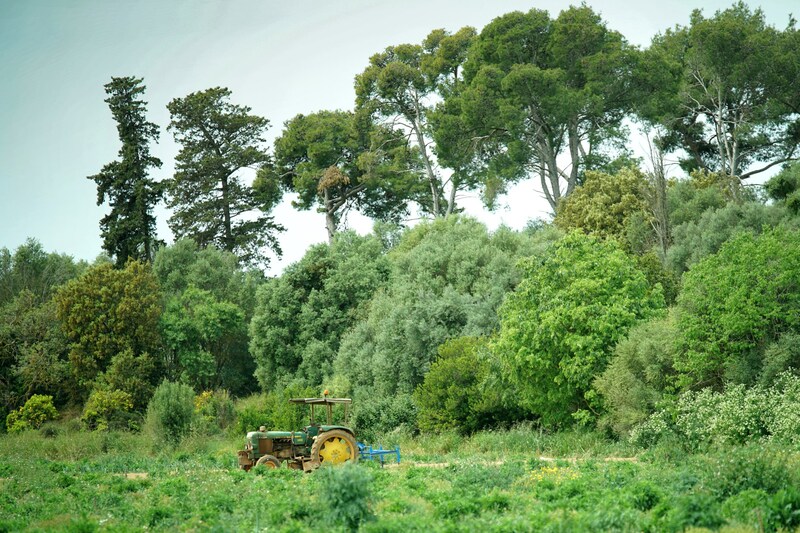 The property has extensive front and back gardens with vast terracing and secluded lower gardens including citrus and fruit orchard. 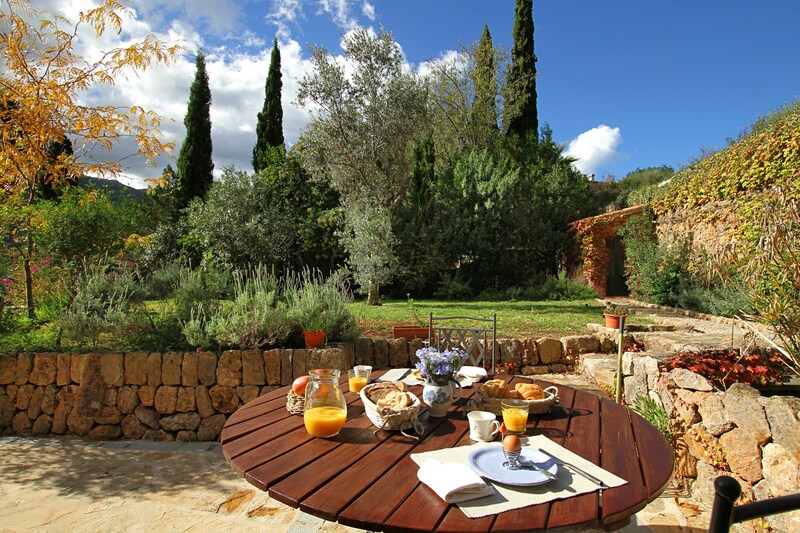 Fresh organic eggs daily. 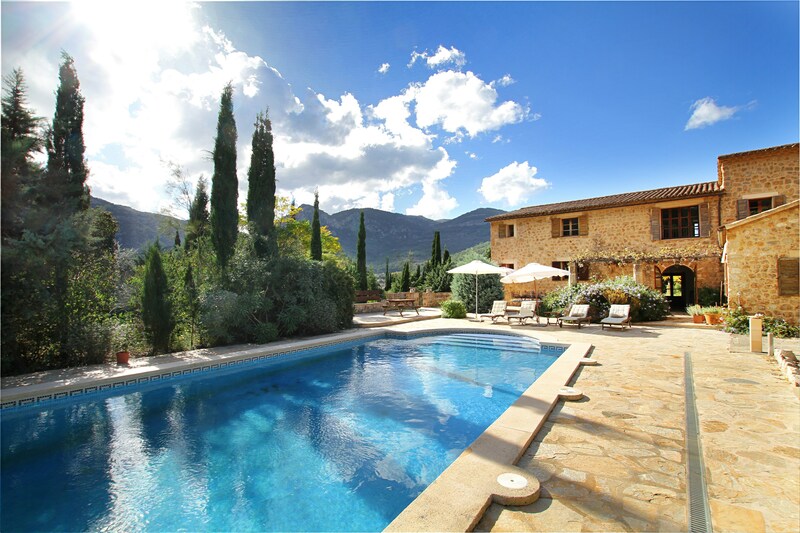 Pool, with secure electronic cover, is secluded by flowering shrubs and elegant cypresses. 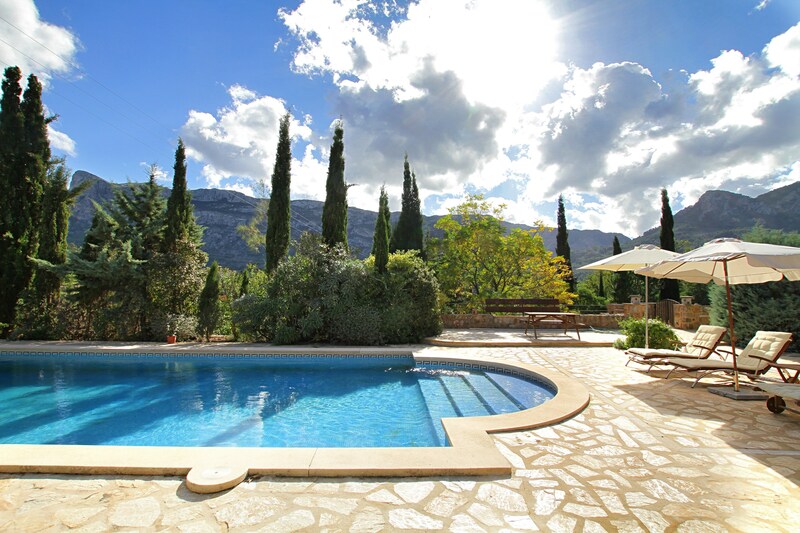 There is a choice of outside locations for relaxation with sun loungers, hammock and parasols provided around the sunny and shady terraces, orchards and top and lower gardens. 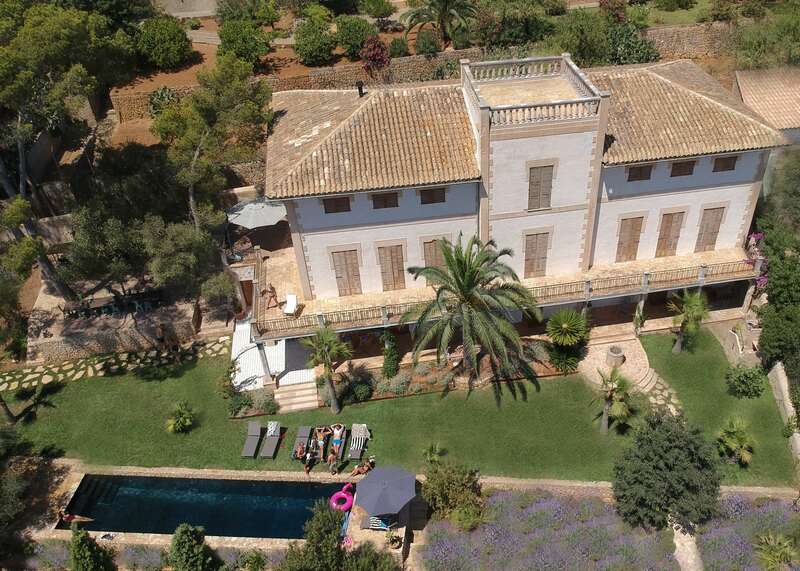 At the front there is a lawned area with an adjacent pond favoured by many frogs in summer, and displays of oleander, bougainvillea, lemon verbena and jasmine. 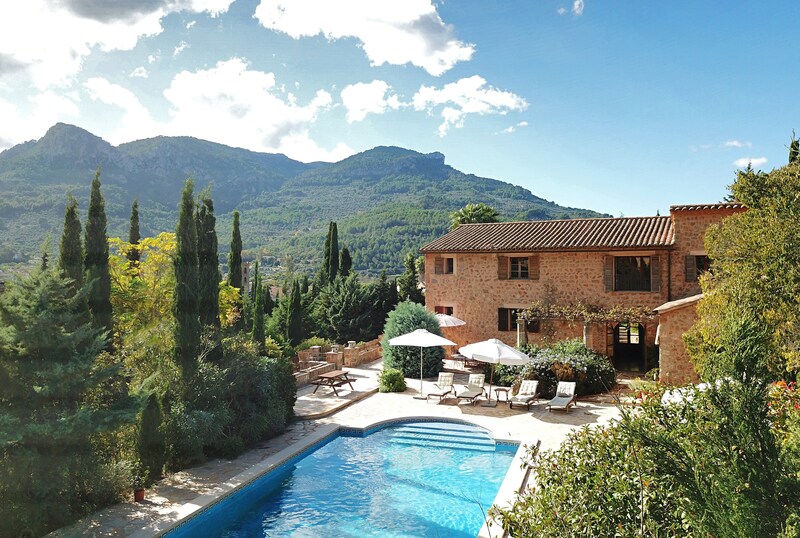 The walk into Soller takes about 20/25 minutes. 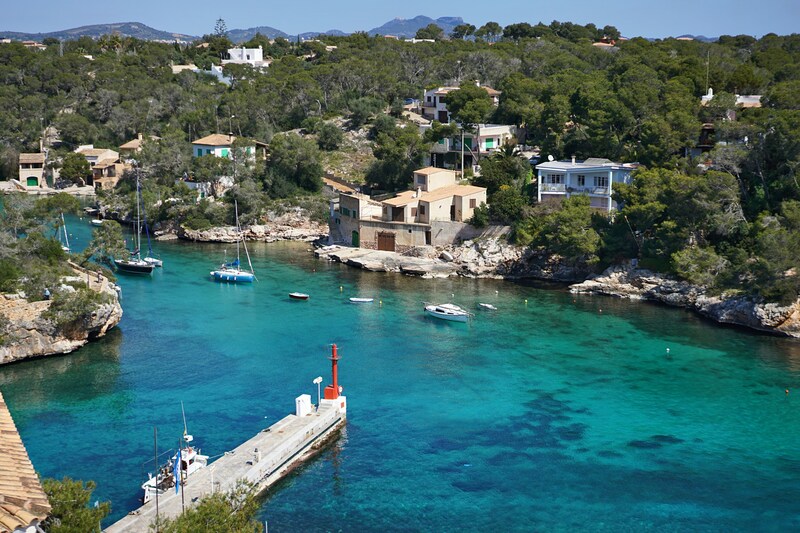 Of course there is also a tram stop five minutes from the house. 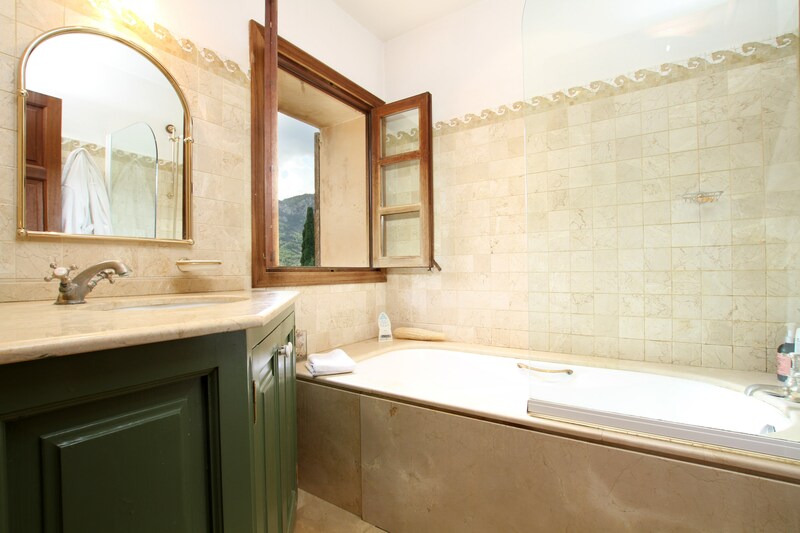 As you know the tram plies between Soller and the port. 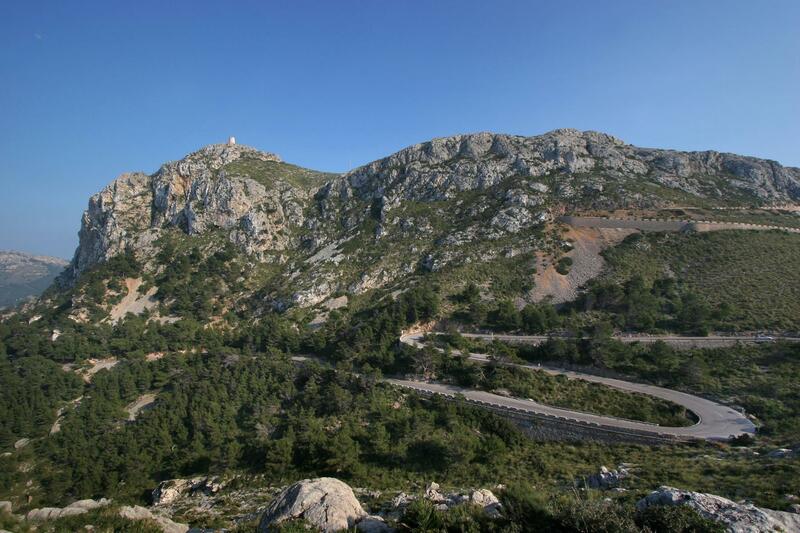 As for views, the position and elevation allows for the valley and mountainous landscape to be viewed for 270 degrees – east, south and west.